Welcome to my faculty website at Palomar College. It is here that you will find information about the classes that I teach, as well as resources on graphic design and web development. My goal is to give students a foundation in design principles, creative thinking and conceptual problem solving techniques in order to integrate them with the technology of electronic media so that they may generate ideas and concepts for communication programs. Graphic design is a form of communication which combines words and images into messages that are visually attractive, connect with people on intellectual and emotional levels, and provide them with relevant information. As a result, graphic design identifies problems, provides instruction, clarifies information, and convinces viewers to do something. Students will learn to create intelligent and thought provoking designs in order to communicate complex ideas in a simple and effective manner. 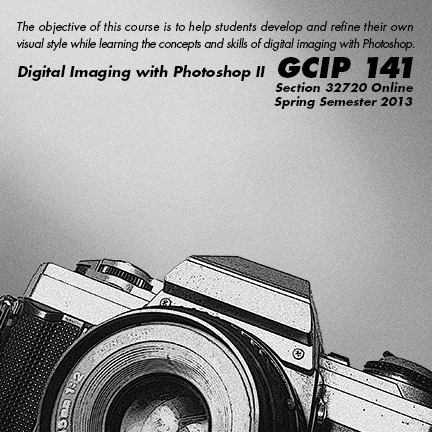 It is my hope that with these skills, students will contribute to the cultural force of visual communication through their singular vision of design. Berthold Akzidenz-Grotesk was Wolfgang Weingart’s preferred typeface when he started as a student at the Basel School of Design. Perhaps he chose the face to distinguish himself from his teacher, Emil Ruder, whose preference was for Univers. Perhaps he selected it because as an apprentice he had dropped a case of Berthold Akzidenz-Grotesk 6-point metal type, and the task of sorting it out, inspired one of his first typographic experiments. His initial accident led to many other experiments, and Weingart has been deeply influential in both Europe and the U.S. as an artist, typographer, and teacher. Though based in Europe, Weingart’s teachings have reached the U.S. through pupils such as April Greiman and admirers like Paul Rand. Weingart was born in Germany in 1941 but has studied, worked and taught since the 1960s in Basel, a cultural crossroads of a city in the northern corner of Switzerland bordering both Germany and France. 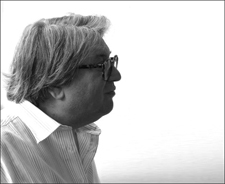 His career spans the four most transformative decades in the history of typography and graphic design. Trained in the last days of the handset type and letterpress printing, Weingart also worked during the transition to phototypesetting and offset lithography, and on into the digital era of the present day. It would be difficult to overestimate the importance of Knoll to the history of contemporary design. The company’s iconic furniture, striking graphics and innovative business practices not only defined the physical image of postwar corporate America, they helped to secure the nation’s role as the new leader in the international design arena. Design is the driving force that is behind every aspect of Knoll. The company is unique in that every piece of Knoll manufactured furniture represents the genius of an independent designer who collaborates with the Knoll development department. The total Knoll environment is a purposeful, tightly organized graphic statement, from sales center architecture, to advertisements, catalogs, price lists and brochures. Since the early 1950s Knoll’s reputation for graphic design has been as impressive as its reputation for furniture. 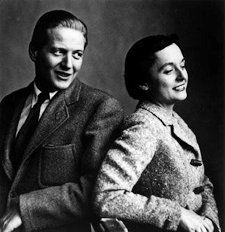 Hans and Florence Knoll were the first to understand the correlation between contemporary furniture and fine graphic design, and Knoll has been a trailblazer in this regard, from Herbert Matter’s fantasy ads for the Bertoia chairs to Massimo Vignelli’s stylishly elegant identity systems. Once, striking print design was Knoll’s exclusive innovation, now it is the industry standard. The Adobe MAX Creativity Conference, organized by Adobe Systems, will take place from 15th October to the 17th October 2018 in Los Angeles. MAX calls itself the world’s premier creativity conference, where thousands of designers, developers, and business leaders will come together to learn new skills, discover the latest technologies, and discuss emerging trends. Designers, photographers, coders, illustrators, videomakers and developers converge to listen to inspiring speakers as well as sharpen their skills in sessions, labs and workshops. Learn directly from industry and Adobe experts and connect with peers from across industries. Click here to register for Adobe MAX 2018. AIGA announces the annual Design Observer Conference. This year’s theme is The Design of Business & The Business of Design. This conference will explore design as a decisive advantage in industry, a force in resisting commoditization, and a catalyst for innovation. The event takes place November 2 – November 3, 2018 at the Yale University School of Management, New Haven, CT. Click here to register. The Sony World Photography Awards is one of the most celebrated and diverse photography competitions in the world. Now in its 12th year, it aims to showcase the best contemporary photography worldwide. The Awards are free to enter and open to all levels of photographers. There is a competition and a category for everyone, from Architecture, Documentary, Landscape, Portraiture, Sports, Street Photography, Wildlife, Travel, Culture, and more. The awards offer an unparalleled opportunity for exposure for photographers at all stages of their career and are known worldwide by industry leaders. The images are judged by the World Photography Organization and a specially selected jury from the World Photographic Academy which is made up of the photographic industry's most esteemed individuals. Deadline for entry is January 11, 2019. Click here to register. Art is a powerful tool to evoke social change. Without uttering a single word, artists can enlighten, educate and effect change around the world. Embracing Our Differences invites you to participate in creating a world where differences are embraced and individuality is celebrated. This year's theme is Enriching Lives Through Diversity.The mission of Embracing Our Differences is to use the arts as a catalyst for creating awareness and promoting, throughout our communities, the value of diversity, the benefits of inclusion and the significance of the active rejection of hatred and prejudice. Deadline for entry is October 15, 2018. Click here to register.